10 new characters, nine new accessories, and more. 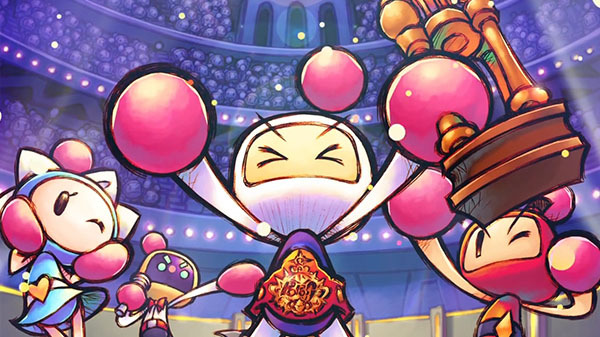 Konami has released the version 2.0 update for Super Bomberman R, adding a new “Grand Prix” Battle Mode, 10 new characters, nine new accessories, and more. The new Battle Mode “Grand Prix” has been added. Crystal – Compete points by collecting the crystals in the stage. Basic Bomber – Compete points by defeating the opponent team. The performance of Belmont Bomber, Vic Viper Bomber and Pyramid Head Bomber’s special abilities have been adjusted. Watch a trailer for the update below.